Every Wednesday morning I mentor men who have a call to vocational ministry. It's a free-for-all where they can ask any questions they desire. Most queries come from their assigned reading. They're all aware of my belief that dead theologians make for far better reading than living ones. They are given books to read that were originally published 200, 300 or even sometimes 400 years ago. The writings of previous generations far surpass modern authors in biblical fidelity, erudite theology, and Christological centrality. I gave one of the men a book by John Brine (1703-1765) entitled A Defense of the Doctrine of Eternal Justification. I've read this small book several times. It is actually a written response to a few vociferous objections by Brine's contemporaries to his views that God justifies His people from eternity. Very few Christians today have the aptitude to even consider that God's unconditional and effectual love for His people precedes our love for Him, but the question asked by the young man I mentor had nothing to do with election or justification. 1. "God did not... consider the body of Adam singly and apart from his soul nor yet the soul without the body." 2. "...neither should either (e.g. the soul or the body) so much as exist, but as the one in the other." The young man expertly and correctly pointed out that Thomas Goodwin believed, and seemed to assume that all Christians believe, that God created man so that the soul never exists apart from the body, nor does the body live apart from the soul. "From where does this common Christian belief that the soul separates from the body at death come from if the leading Christian theologians of the 17th and 18th centuries believed the Bible teaches there is never a separation of soul and body?" Man and woman (Adam) is unique in that Adam is neither an angel or an animal. No, when you're loved one dies, heaven does "Not gain another angel." While mankind does share characteristics with both angels and animals, we are not angels because we have a corporeal or physical body necessary for our existence. We are not animals because we have a spiritual capacity which animals do not. You never see an animal bowing before his meal giving his Creator thanks. Animals, angels, and man do share the capacity for intelligence (contrary to plants and inanimate things), but man alone is uniquely created by God. The world was created for man, the universe for the world, and God grants the gift of immortality to man alone (not animals and not even angels have immortality), for "God alone has immortality" (I Timothy 6:16), and the gift of God is eternal life to those in union with Jesus Christ (Romans 6:23). When evangelicals awaken to the truth Goodwin declared, the truth that the Apostles and New Testament writers seemed to convincingly convey - that man is soul and body and never shall the two exist without the other - then the emphasis of the Christian gospel will be on "the resurrection" and the gift of "immortal life" to those in Christ. What happens to the wicked? The Scriptures seem to teach that after God raises to bodily life again the wicked, He will dispense proportional, personal and we dare say appropriate punishment. After their various sentences of isolation from God's mercies are served, the wicked will be turned over to die a second time (Revelation 20:14). "For God takes no pleasure in the death of the wicked" (Ezekiel 18:23). For indeed, the wicked do die. But the righteous will inherit the earth and will live forever (Psalm 37:29), or as Jesus said it, "The meek will inherit the earth" (Matthew 5:5). That's the gospel, and I can't wait for the resurrection. Those who live for the body alone will die as brutish animals die. Those who live for the intellect alone will die as pagan philosophers die without the knowledge of the one true God. But those who know the God of Abraham, Isaac and Jacob, and come to an understanding of the Person and work of the Anointed One (Jesus Christ) will be given the gift of immortal life in bodily continuity. Union with Christ for the ages is as sure as the union of body and soul for the ages. Thanks again for a very thought-provoking, insightful post, Wade. 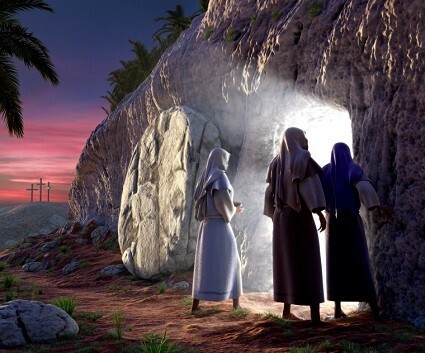 But there is that temporal time of separation between body and soul between death and the resurrection. THAT will be strange, but from what we see in The Word, also wonderful, productive times of awareness and service to God, even prior to being united with our eternal, supernatural, resurrected bodies. When a young missionary colleague passed away who was exceedingly gifted in many diverse ways, I thought, "God is surely putting his gifts to work in some celestial, amazing assignment." I have no Scriptural basis for it, but I feel that we use those amazing gifts God gives us in service to Him eternally. Wade, many of the traditions and teachings that a large portion of Christians believe come from paganism and Catholicism. When Emperor Constantine used Christianity to unite the empire, many false beliefs were taught to the laity and really never challenged as biblical or not. I think the teaching of the separation of the soul and body took hold when the teachings of purgatory entered the church. Purgatory has its roots in Greek and Roman mythology. I recommend a great book that explores this teaching and many others that are considered traditions of the church is " PAGAN CHRISTIANITY: exploring the roots of our church practices, written by Frank Viola and George Barna. I have that book and found it very helpful (and surprising). It covers such topics as tithing, the sermon, the order of worship, and a glance at the Savior. Thanks for the reminder. I'm going to get it out and review it again! It is interesting that the second death is mentioned in Wade's blog. References to the second death can be found from Genesis to Revelation in the Bible. But the "traditions" of early 'Christian' understanding did not grasp the full meaning of the second death as described in Genesis 2:17: - "mō wṯ (die) tā mūṯ (the second death)" in the transliterated text. The statement from God IMHO indicates that, 'when we "sin" we will die the second death at some future point in time.' In Ezekiel 18 we are told that a wicked person will not die the second death, if he repents of his "sin." This chapter also points out that a righteous man, if he sins and does not repent of his sin, he will die the "Second death," and all of his righteous will not be found at that time of his punishment. The second death is also peppered through the New Testament and Christ also referred to it as did Peter on the day of Pentecost etc.. However, to flesh out this understanding requires much work on our part because the tools do not seem to exist that are necessary to find the Hebrew and Greek words which have the meaning of "the second death." However, this understanding concerning Adam became difficult to understand much later, and they formulated theories to explain what happened and the usual popular theory is that Adam on the day that he ate of the fruit of the tree of knowledge, died spiritually, because the Bible records that Adam died physically when he had lived for 930 years, even though the Egyptians and Abimelech some 2,000 years after Adam's sin, understood the consequence of the second death. In part this is true, that we die "spiritually," but as described in Ezekiel 18, it is possible to be redeemed from the clutches of the second death and live. It is for this reason that I prefer to explain Genesis 2:17 in this way, "Adam was warned that if he ate of the fruit that he would become a candidate for the second death." Was Adam and Eve redeemed after eating of the forbidden fruit? The Bible is silent on this detail, however, from the little that is given in the Genesis account i.e. Gen 4:1 "I have gotten a man with the help of the Lord." there is a suggestion that there was a relational connection between God and Adam and Eve, and that God still walked with Adam and Eve after they were expelled from the Garden of Eden. Our bodies and our spirit/soul remains in union during our physical lifetime. After we die, our physical body decays, but when the time of the Final Judgement comes, those of us who are asleep, will be all resurrected and given renewed bodies to awake in to stand before the judgement seat where some of us will go to everlasting life while other will go to shame and everlasting contempt in the Lake of Fire, which is the Second Death. So our bodies and souls/spirits are not separated. At the time of the end, they are re-united once more. Wade is making a very valid point in this Blog. Not sure what the point is. Our bodies and souls ARE separated at death. The only way something can be "re-united" is it to be separated. However, even at the resurrection, we are not "re-united" with our previous carnal bodies. So, could someone please explain what is the point we're trying to get at here? I believe our body and soul are never apart whether heaven or hell. When Jesus said “…loose your own soul.” (Mark 8:36), he meant your body would be lost also. Union with Christ FOR the ages is a benefit of God's grace. Union with Christ FROM eternity is the decree of God by His grace to save the elect. At least, according to Goodwin, Brine and all the other evangelical, reformed writers of the 17th and 18th centuries. They believe the Scriptures teach "Justification BY Grace (God's) THROUGH Faith." If justification is an act of God, and accomplished BY His Grace, then FAITH is never the grounds of our justification, only the means through which we discover we "HAVE BEEN justified (Past Tense)." All the blessings of grace are in the PAST TENSE (even "glorification" - that is the blessings of union with Christ FOR eternity) in the Golden Chain of Romans 8:28-31 because God does them all for His people and none of them is dependent on His people - only His grace. It's only confusing if you've never considered God's grace precedes faith and is the cause of one's faith, not the result of it, and that God's grace is effectual, never conditional. Rex Ray, help me out here. You said, along with Wade, Tom, and other commenters; "I believe our body and soul are never apart whether (in) heaven or hell." You do believe that when you go to the funeral and see that lifeless corpse lying there, that the spirit of that person has exited that dwelling place/house, and is currently abiding without a physical body, in God's heavenly realm, don't you? I KNOW you don't concur with the Jehovah Witnesses who literally believe the soul goes into the ground and abides there until the resurrection. That being the case, what's up with all this talk about the body and soul never being apart? RRR, "Our bodies and souls ARE separated at death." Thomas Goodwin is arguing for Rex's position - that's the point Goodwin was making in the post. Not saying you have to agree, but the early church fathers, Martin Luther, Thomas Goodwin, and a host of others held to what they believed to be biblical doctrine. The "soul" according to these orthodox evangelicals of ancient years was the "person." The person dies; but is raised from the dead (see I Corinthians 15). Anonymous, "'Our bodies and souls ARE separated at death.' Says who?" In the account Jesus tells of the rich man in hell and Lazarus with Abraham in heaven, they are not there in bodily form. What makes me conclude that? I conclude it because all people who die leave their physical bodies behind, this story takes place prior to a resurrection, yet they think, experience misery or bliss. 2 Corinthians 5:1 says that the "earthly tent" is torn down. There are many other instances in the Old and New Testament that teach that our souls leave our physical bodies to abide in "Sheol", "heaven", "hell", "hades", or some other referred to spiritual realm location. Revelation is full of references to the Saints being in the presence of God while things are still raging on earth. But the supreme lesson comes from Christ Himself whose Spirit left His body at death and was active in the spiritual realm prior to His being resurrected into His new, supernatural, eternal body. Apparently, you're not the only one here that is asking "Who says our bodies and souls are separated at death". This surprises me since I had considered that all believers concluded as I do regarding this. I've never heard any credible preacher or teacher proposing that our soul remains in our dead body! I'm still wondering where I seem to be missing the boat. Are you referring to some symbolic "body" or perhaps "the body of Christ-the church" from which we never depart? Just what "body" are you all thinking of when you mention that we are never separated from it? I'm not saying you're all wrong, I'm simply trying to clarify our difference in terminology. Oh, and, "THIS DAY you will be with me in paradise." Two problems, RRR. In Greek there is no punctuation. 1. You insist on translating the above "Truly I say to you, THIS DAY you will be with me in Paradise." It could also be properly translated "Truly I say to you THIS DAY, (the day we both hang on a cross like common thieves) YOU will be with me in Paradise. I'm not arguing one way or the other, just cautioning against emphatic dogmatism when two interpretations are plausible. 2. Even if the punctuation of a comma is to go before THIS DAY (as in your argument), at death people move "outside of time, into God's sphere," so when this life is over, and you close your eyes for the last time, it is from the deceased one's perspective THIS DAY (Immediate) even if within time thousands of years have passed until the general resurrection. "I've never heard any credible preacher or teacher proposing that our soul remains in our dead body!" Take a glance at a few throughout history. Both Reformed - Calvin opposed Luther's views that the soul and the body are forever connected, never to be separated, and the evangelical church mostly followed Calvin, but a host of credible teachers and preachers throughout history have disagreed with your view. Comes to mind the words credited by some to C.S.Lewis "“We don't have a soul. We are a soul. We happen to have a body.” "
which he may have gotten from George MacDonald who wrote "“Never tell a child,” said George Macdonald, ‘you have a soul. Teach him, you are a soul; you have a body.’ "
The problem of 'we die, we are buried, does our soul go straight to heaven?' is that in 'passing on' we leave the world of time and place and enter into eternity where the old familiar doesn't apply 'time-wise' and we have no real experience of the eternal except to think of it a 'a very, very long time', which doesn't translate in a meaningful way. The unity of the human person as body-soul-spirit in ONE person is a given in our Christian theology. How exactly this unity was put together, is mysterious. And wonderful. "14 I will give thanks to You, for I am fearfully and wonderfully made; Wonderful are Your works, And my soul knows it very well. 15 My frame was not hidden from You, When I was made in secret, And skillfully wrought in the depths of the earth; 16 Your eyes have seen my unformed substance." And hope that the God Who was there at our beginning will also be there at our passing. 'Trust' like that of a small child offers a kind of peace, I think. In our living, even in our sleep, we are cared for from moment to moment, and at our final crisis, we find shelter within the wounds of Our Lord Himself Who brings us from death into life. Christiane, much truth said in your insights. Whatever God has in store for His children, it's all good. Wade; Thank you for your response. That clears things up for me in terms of the intent of the discussion. I now remember your addressing this issue in previous posts and your take on Jesus' statement to the thief on the cross. I do not agree with your interpretation on either account but that's okay.
" I do not agree with your interpretation on either account but that's okay." I see both sides and could teach both (and have done so). In fact, one of my most requested sermons is on "The silver cord untied" which is an illusion to God releasing the soul from the body at death. Luther was a traducianist - He believed the soul was "traduced" by the union of the man and the woman and was simply the "person" formed in procreation - body and soul. Calvin believed the body alone was prepared as a "vessel of clay" and at some point within the formation of the new body, the soul - DIRECTLY created by God - was deposited within "the jar of clay." I've held Calvin's view all my life because I read Calvin's Institutes and John Gill's systematic theology when I was in high school. However, I now understand what Luther was teaching regarding the union of body and soul and conditional immortality. It's not JW doctrine, Luther taught it long before JW, and JW's deny Christ's deity - a cardinal doctrine of Christianity, while Luther brilliantly defended the deity of Jesus. As you rightly state, differing views on this doctrine is "ok."
I'm pressing for humility on both sides to not emphatically dogmatic. Wade; I did look at the link you sent and was amazed at the extent of this conversation among significant church leaders for such a long time. I was unaware. I honestly can say that I have pretty much based my position on my personal study of Scriptures but of course, we all are influenced by those who have taught us in the past. Still, I do try to test all of my personal positions with fresh reflection. That's why your posts are helpful. I do wonder, and perhaps suspect, if Luther, and perhaps some other reformist-minded leaders of the early days of Protestantism, were influenced by their quest to diminish the entire Catholic concept of Purgatory and some of the other Catholic traditions, but who's to know. "I wonder if Luther, and perhaps some other reformist-minded leaders of the early days of Protestantism, were influenced by their quest to diminish the entire Catholic concept of Purgatory and some of the other Catholic traditions." I believe that your are spot on. I wonder if it is this belief system which causes some Christians to oppose cremation? Thoughts? It absolutely is the reason. "body". What exactly are we speaking of? Flesh and bone which has been buried? It is well known that, depending on the chemical composition of the soil in which it is buried, bodies, bones and all, can completely disappear and disintegrate, and are no more. I also hold to soul consciousness rather than "soul sleep". I read about the friend who took the "ashes" of his buddy and "flushed a portion of them down the toilet in every single Major League baseball stadium" at the request of the deceased.